The tense trailer Little Woods has just been released and, upon first impression, this looks to be an excellent vehicle for Tessa Thompson (Creed II) and Lily James (Cinderella). 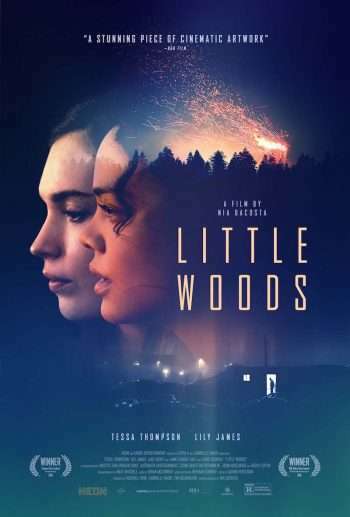 Set in Little Woods, North Dakota, the tale centers on Ollie (Thompson), a woman who’s on her final days of probation after illegally transporting prescription pills over the Canadian border. A tragedy leads Ollie to reconnect with her estranged sister Deb (James). Deb, who has an unplanned pregnancy, teams up with Ollie to find a way to make money and save their mother’s house from foreclosure. Ollie’s return to selling pills, though filled with good intentions, will probably come at a price, and though the subject matter is grim the trailer ends on a subtle comedic note. The feature, directed by Nia DaCosta was a Best Narrative Feature nominee at the Tribeca Film Festival and received Honorable Mention at the Denver Film Festival for the American Independent Award. Check out the trailer and tell us what you think!